Madison is a member of the senior leadership team in Canberra, and has a breadth of experience in wealth management. With a passion for investing, an interest in the dynamic nature of financial markets and an intimate, thorough understanding of Dixon Advisory’s service offerings, Madison partners with clients to help them make the most of their family wealth. Her breadth of experience makes her an integral part of the Family Wealth Management team. Madison prides herself on building strong relationships with her clients, and believes it’s important to be available as a ‘sounding board’ for clients. “If a client is interested in a particular investment, is worried about the impact of legislative change, or has read something of interest, they can contact us and discuss their thoughts directly. It’s vital to make rational, long-term decisions for family wealth that are based on solid fundamentals and appropriate advice, rather than speculation or emotion”. Madison also facilitates our award-winning Wise program in Canberra – a series of workshops for women to meet and explore financial matters in a relaxed and informal setting. 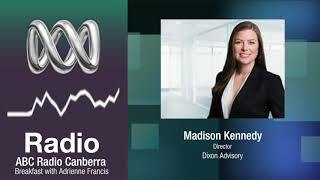 Madison also appears on ABC Radio Canberra’s Morning Breakfast program, discussing the latest business and finance news. 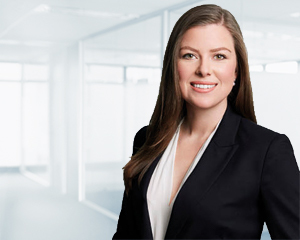 Having first joined Dixon Advisory supporting clients with their self managed super funds, Madison later moved into Investment Advisory to pursue her passion for investing. Madison is now combining her across-the-board experience to support clients and educate families to build their family wealth, now and for retirement. Madison holds a Masters of Applied Finance (Kaplan), and a Bachelor of Laws and Bachelor of Finance from the Australian National University. She is accredited by the Stockbrokers Association of Australia to provide advice and holds Graduate Diplomas in Financial Planning and Legal Practice. With reporting season underway, how are companies faring against economic headwinds?